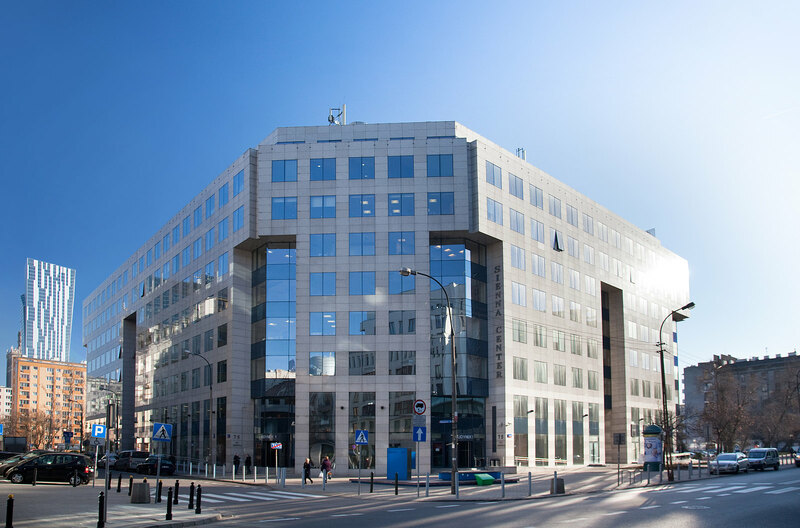 The Sienna Center is in the main business district of Warsaw, which borders the Wola and Śródmieście districts. 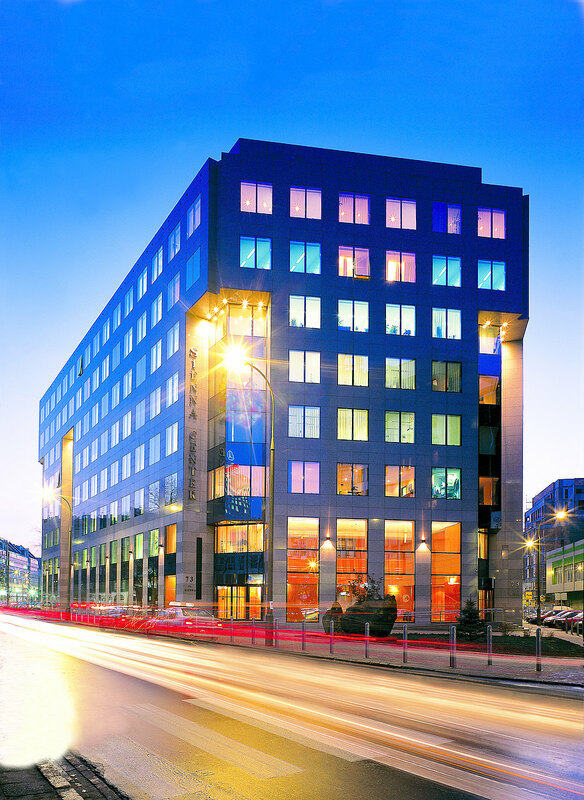 The 33-metre office building was designed by the Polish/Belgian architects Leszek Klajnert and Jerzy Czyż. The usable space of just under 20,000 sqm is spread over eight upper storeys. 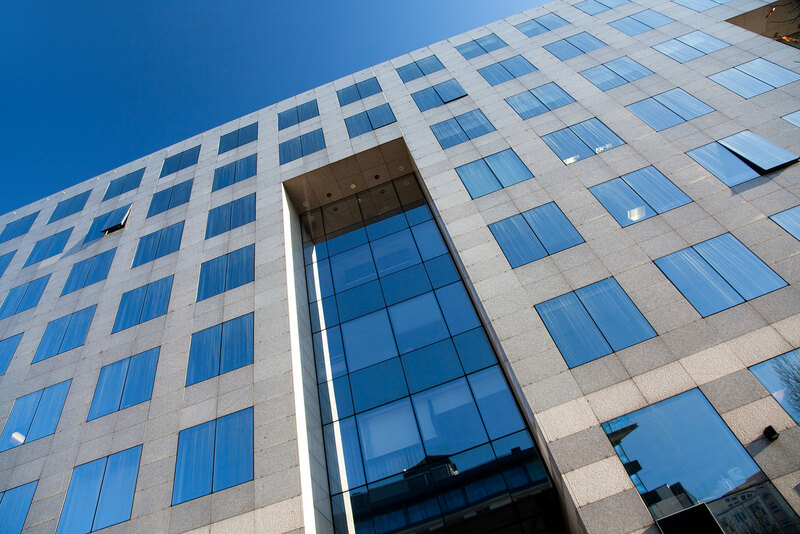 The modern office property is made up of three interconnected buildings with separate entrances and imposing reception areas. A structure of this kind, combined with effective floor plans, ensures massive flexibility in terms of planning single and multiple occupancy configurations. 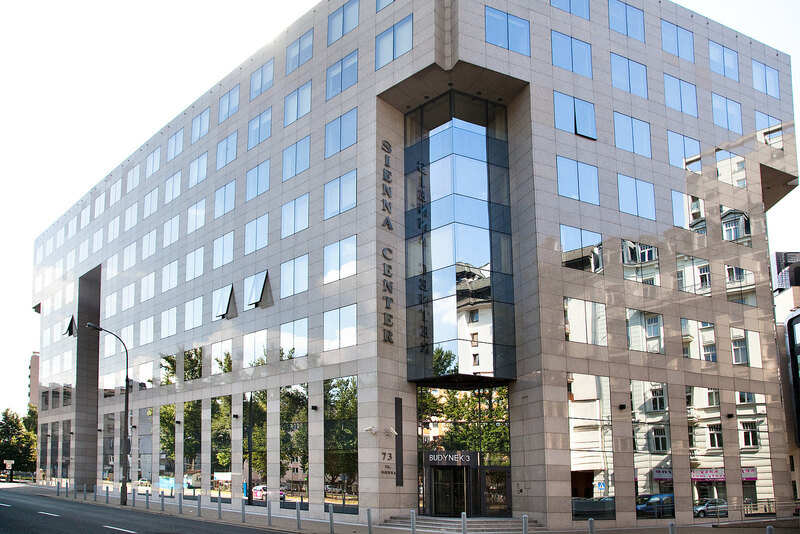 The unique location of the Sienna Center at the point where Sienna, Żelazna and Twarda streets intersect guarantees ease of access to public transport and thus fast connections. The surrounding quarter has a well-developed infrastructure with banks, post offices, restaurants, hotels and many other public services nearby. 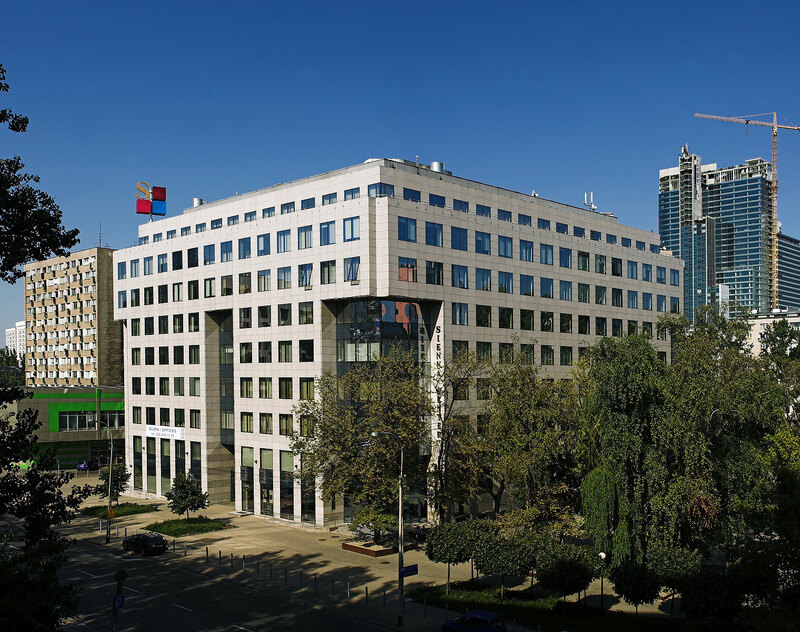 The main station is just five minutes away, while Warsaw Chopin Airport can be reached in 20 minutes. Do you have any questions, or need more information on the Sienna Center office building? Simply contact us!